We’ve all been there. Four days until Christmas, and you forgot just one person on your list. By now it’s probably too late to order that last gift online, and you’re not about to drive out of your way to the Town Center or the Avenues or – god-forbid – all the way out to the St. Augustine Outlets for just one more present. Instead, turn to old-reliable: Target. Here’s a list of seven last-minute holiday gifts with a wide price variety that you can pick up no problem from Ponte Vedra’s most beloved retailer. This is the game that best combines sneaky athleticism with good humor. Spikeball allows the whole family to discover how surprisingly shifty your uncle is and how hilarious it is to watch your sister eat dirt. The 2v2 game is sort of a spin off volleyball, with teammates setting each other up for spikes off of the net until the ball hits the ground. 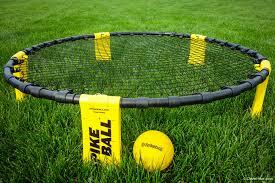 Spikeball can as competitive or relaxed as you want it to be, and can be played just about anywhere outside with a flat surface. Seems a bit pricey, but it is well worth the cost in the long run. The Google Home (not mini) is another option, but for simple uses, the Home Mini does just fine on its own for $50 less. This electronic is a speaker, a remote, a news reporter, a joke teller, a weather guide, and much more. On discount for a limited time at Target, this device simply helps make life easier, and will impress whoever you’re getting it for. My favorite part of the Home Mini is that you can preset certain phrases to specific actions (for example, you could make a shortcut so that when you say, “Hey Google, you know what to do,” it can start playing your favorite song, announce ESPN headlines, or crack a joke- whatever you want. 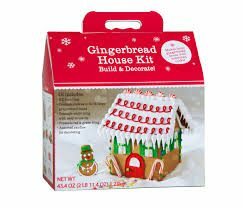 This edible art project includes cookies, icing, and various candies to construct your own gingerbread house. The best part about this gift, other than it only costing ten dollars, is that it can be given to a variety of people: just about every child, but also anyone who likes eating candy and anyone that’s at least somewhat artistic and enjoys arts and crafts. If the person you’re shopping for doesn’t meet at least one of those requirements, I don’t blame you for waiting this long to buy a gift for him or her. 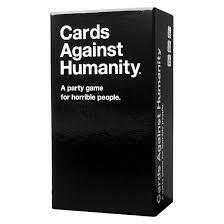 The best gift available hands down for your most inappropriate friend. Cards Against Humanity is the hilarious party game in which players compete for the most offensive, belligerent, and disgusting fill-in-the-blank sentences. Be warned – this gift only works for certain people – but for those certain people, it’s the gift that keeps on giving throughout the entire year. For those of you who decide to go looking for a gift on Christmas Eve, this is as good of a last-minute present that there is. Movie snacks are always appreciated, especially in this time of year when classic Christmas movies are airing nonstop on television. 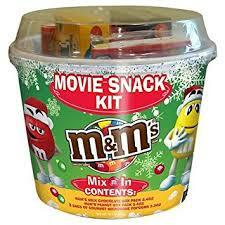 The hard part is figuring out a way to sneak the whole thing into a theater. Look at this picture and tell me you don’t want it. Can’t do it, right? It’s so ugly that it’s good, like when a joke is so bad that it makes you laugh anyway. 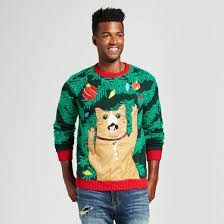 To be honest, not everyone wants an ugly sweater, but depending on who you’re buying for it could be a perfect gift. Target has a large selection for men, women, and kids with various prices. At the very least it’ll keep you warm. One of the easiest gifts to put together with sentimental value. Just order a print on www.shutterfly.com and in an hour, it will be ready to pick up at Target, where a wide assortment of frames is conveniently available to purchase. 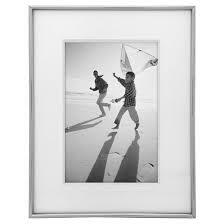 4×6 images cost less than a dollar and frames are as cheap as four bucks. You can obviously choose to print larger images and buy nicer frames, depending on your price range and the picture itself. This gift is as thoughtful to the person you’re giving it to as it is easy for you to put together (which is pretty darn easy).